The Department of Defense (DoD) Hazardous Material Information Resource System (HMIRS) uses Hazard Characteristic Codes (HCC) to classify materials by their primary hazard characteristic for the safe segregation and storage of hazardous materials. There are 10 basic classes defined by letters A to Z, and each of these is broken down into additional subclasses (see below). Here is a listing of the Hazard Characteristic Codes and a brief explanation for each. For extended definitions, please consult the official military documentation listed under Further Reading. Note: Some of the letters used in this table are also used as TSCA, CHIP, EU risk phrases, and/or HMIS codes, which may have completely different meanings and applications! HCC codes are usually prefixed by "HCC" as in "HCC: T4", but not always. Any radioactive material that requires the issuance of a specific or general license, according to Title 10, Code of Federal Regulations (CFR), to persons who manufacture, produce, transfer, receive, possess, acquire, own, or use by-product material. Any radioactive material that does not require the issuance of a specific or general license according to Title 10, CFR, Parts 30 and 40. Radioactive material, exempt from specific or general license requirements of Title 10, CFR, but for which the appropriate military services or agency representative has determined that an authorization or permit is required for the receipt, transfer, ownership, possession, or use. Included are electron tubes, smoke detectors, or other devices containing material not exceeding the Nuclear Regulatory Commission (NRC) license-exempt quantities. An inorganic alkali (not hydrocarbon based), either liquid or solid, meeting the definition of a Corrosive Material (Class 8) under DOT Title 49, Section 173.136, or EPA 40 CFR 370.2, or OSHA 1910.1200, Appendix A that causes visible destruction or irreversible alterations in human skin tissue at the site of contact, or a liquid that has a severe corrosion rate on steel or aluminum. An organic alkali (hydrocarbon based), either liquid or solid, meeting the definition of a Corrosive Material (Class 8) under DOT Title 49, Section 173.136, or EPA 40 CFR 370.2, or OSHA 1910.1200, Appendix A that causes visible destruction or irreversible alterations in human skin tissue at the site of contact, or a liquid that has a severe corrosion rate on steel or aluminum. A liquid or solid product that exhibits alkali (caustic/basic) properties and does not meet the definition of HCCs B1 or B2 but which through experience or through documentation on the MSDS or product bulletin would cause severe skin or eye irritation, dermatitis, or allergic skin reaction. An acid (not hydrocarbon based), either liquid or solid, meeting the definition of a Corrosive Material (Class 8) under DOT Title 49, Section 173.136, or EPA 40 CFR 370.2, or OSHA 1910.1200, Appendix A that causes visible destruction or irreversible alterations in human skin tissue at the site of contact, or a liquid that has a severe corrosion rate on steel or aluminum. An acid (hydrocarbon based), either liquid or solid, meeting the definition of a Corrosive Material (Class 8) under DOT Title 49, Section 173.136, or EPA 40 CFR 370.2, or OSHA 1910.1200, Appendix A that causes visible destruction or irreversible alterations in human skin tissue at the site of contact, or a liquid that has a severe corrosion rate on steel or aluminum. A liquid or solid product that exhibits acidic properties and does not meet the definition of HCCs C1 or C2 but which through experience or through documentation on the MSDS or product bulletin would cause severe skin or eye irritation, dermatitis, or allergic skin reaction. A material regulated as an Oxidizer, UN Class 5.1, by DOT under 49 CFR 173.127 or is listed in Section 43A of the National Fire Protection Association (NFPA) Fire Codes Subscription Service as a Class 1, 2, 3, or 4 oxidizer other than a compressed gas, that can undergo an explosive reaction when catalyzed or exposed to heat, shock, or friction; or will cause a severe increase in the burning rate of combustible material with which it comes in contact; or which will undergo vigorous self-sustained decomposition when catalyzed or exposed to heat; or will moderately increase the burning rate or which may cause spontaneous ignition of combustible or flammable material with which it comes in contact. An oxidizing material (HCC D1), other than a compressed gas (HCC G4), that also meets the definition of a poison (HCCs T1, T2, T3, or T4). An oxidizing material (HCC D1), other than a compressed gas (HCC G4), that also meets the definition of a corrosive material, acidic (HCC C1 or C2). An oxidizing material (HCC D1), other than a compressed gas (HCC G4), that also meets the definition of a corrosive material, alkali (HCC B1 or B2). Items classed as explosives, UN Class 1, Division 1.1, 1.2, 1.3, 1.4 (except 1.4S), and 1.5 as defined in 49 CFR 173.50 and all Military Explosives identified by a Department of Defense Ammunition Code (DoDAC). Items classed as explosives, UN Class 1, Division 1.4S and 1.6, as defined in 49 CFR 173.50. Division 1.4S consists of explosives that present a minor explosion hazard. The explosive effects are largely confined to the package and no projection of fragments of appreciable size or range is to be expected. An external fire must not cause virtually instantaneous explosion of almost the entire contents of the package. A product meeting the definition of a flammable liquid (UN Class 3) under 49 CFR 173.120 and classed as a Packing Group I under 49 CFR 173.121 with an initial boiling point less than or equal to 95 °F (35 °C). Included in this definition are OSHA IA liquids except those that have a boiling point between 95 °F and 100 °F. The definitions for OSHA classes of flammable liquids are found in 29 CFR 1910.106. A product meeting the definition of a flammable liquid (UN Class 3) under 49 CFR 173.120 and classed as a Packing Group II under 49 CFR 173.121 with an initial flash point less than 73 °F (23 °C) and an initial boiling point of more than 95 °F (35 °C). Included in this definition are OSHA IB liquids and the balance of OSHA IA liquids with boiling points between 95 °F and 100 °F. A product meeting the definition of a flammable liquid (UN Class 3) under 49 CFR 173.120 and classed as a Packing Group III under 49 CFR 173.121 with an initial flash point greater than or equal to 73 °F (23 °C) but less than 100 °F (38 °C). Included in this definition are OSHA IC liquids. A product meeting the definition of a flammable liquid (UN Class 3) under 49 CFR 173.120 and classed as a Packing Group III under 49 CFR 173.121 but with a flash point greater than or equal to 100°F (38 °C) but less than 141 °F (60.5 °C). Included in this definition are OSHA II liquids. UN Class 3 Flammable Liquids (HCCs F1, F2, F3, or F4) that also have the hazards of UN Class 8 Corrosive materials and are acidic in nature meeting the definition of HCC C1 or C2. UN Class 3 Flammable Liquids (HCCs F1, F2, F3, or F4) that also have the hazards of United Nations Class 8 Corrosive materials and are alkali (caustic/basic) in nature meeting the definition of HCC B1 or B2. Any product which is required to be shipped as UN Class 4.1 under 49 CFR 173.124 which under conditions normally incident to transportation or storage is likely to cause fires through friction, retained heat from manufacturing or processing, or which can be readily ignited and when ignited burns so vigorously and persistently as to create a serious transportation hazard. Any product which is required to be shipped as UN Class 2.3 under 49 CFR 173.115(c) (Gas poisonous by inhalation) and is required to be marked "Inhalation Hazard" under 49 CFR 172.313. Any product, other than a flammable aerosol, which is required to be shipped as a UN Class 2.1 (Flammable gas) under 49 CFR 173.115 (a). Any product (includes compressed gas, liquefied gas, pressurized cryogenic gas and compressed gas in solution) which is required to be shipped as UN Class 2.2 under 49 CFR 173.115 (b). A non-flammable, non-poisonous compressed gas. Meets the definition of a Non-flammmable Gas (HCC G3), except is an oxidizer; and (b) Does not meet the definition of Poison Gas (HCC G1) or Flammable Gas (HCC G2); and (c) Requires an Oxidizer label and a Nonflammable Gas label for transportation under 49 CFR. Meets the definition of a Nonflammable Gas (HCC G3), except it is corrosive; and (b) Does not meet the definition of Poison Gas (HCC G1) or Flammable Gas (HCC G2); and (c) Requires a Corrosive label and a Nonflammable Gas label for transportation under 49 CFR. Meets the definition of a Nonflammable Gas (HCC G3), except it is poisonous and corrosive; and (b) Does not meet the definition of a Flammable Gas (HCC G2) or an Oxidizing Gas (HCC G4); and (c) Meets the definition of a Poison Gas (HCC G1); and (d) Requires a Corrosive label and a Poison Gas label for transportation under 49 CFR. 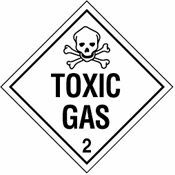 Any product which is required to be shipped as a UN Class 2.3 under 49 CFR 173.115(c) (Gas, poisonous by inhalation), is required to be marked "Inhalation Hazard" under 49 CFR 172.313, and meets the definition of a Flammable Gas (HCC G2). Meets the definition of a Nonflammable Gas (HCC G3), except it is poisonous, oxidizing, and corrosive; and (b) Does not meet the definition of a Flammable Gas (HCC G2); and (c) Meets the definition of a Poison Gas (HCC G1), and an Oxidizer Gas (HCC G4); and (d) Requires a Corrosive label, an Oxidizer label, and a Poison Gas label for transportation under 49 CFR. Definitive hazard characteristics are not yet determined. The source of this code is the Federal Logistics Information System (FLIS). A viable micro-organism or its toxin, which causes or may cause animal or human disease as published in Title 42 CFR, Section 72.3. Includes Infectious Substances Affecting Animals only (UN 2900), Infectious Substances Affecting Humans (UN 2814), and Etiologic Agent, N.O.S. (NA 2814). Antineoplastic (Chemotherapy) drugs used in the treatment of cancer and determined and listed by the Directorate of Medical Material, Defense Supply Center Philadelphia, Philadelphia, PA.
Any material meeting the definition of a magnetized material as defined in the International Air Transport Association (IATA) regulations 3.9.1.3. The best method for determining magnetic properties is specified in IATA Packing Instruction 902, Method 2. Any material, which does not meet the definition of any other HCC, is not regulated as hazardous by any regulatory organization, and through technical evaluation is generally regarded as nonhazardous for storage. Supporting documentation regarding the lack of storage hazards must be available through documents such as the MSDS, product labels, manufacturer's literature, and the advisory sources listed in Appendix C of 29 CFR 1910.1200, OSHA Hazard Communication Standard. Note: this rating does not reflect the hazards associated with the actual use of the item. A product classed as a UN Class 5.2 (Organic Peroxide) by the US DOT as defined in 49 CFR 173.128 and listed in the Organic Peroxides Table in 49 CFR 173.225 and is defined in NFPA Code 43B as NFPA Classes I, II, or III organic peroxides based on information provided by the supplier or manufacturer. A product that is an Organic Peroxide that is not regulated by the US DOT and meets the definition of NFPA Code 43B, Class IV organic peroxides that burn as ordinary combustibles and present minimal reactivity hazard. Class IV formulations present fire hazards that are easily controlled. Reactivity has little effect on fire intensity. Also included are Organic Peroxides that are not regulated by the US DOT and meet the definition of NFPA Code 43B, Class V organic peroxides. Class V formulations do not themselves burn and do not present a decomposition hazard. This definition includes Organic Peroxides regulated by the FDA. Any product meeting the definition of UN Class 4.2 (Spontaneously Combustible) as defined in 49 CFR 173.124(b), which is likely to heat spontaneously under conditions normal to transportation or storage, or is likely to heat up in contact with air and catch fire. Included in this group are pyrophoric liquids that ignite spontaneously in dry or moist air at or below 130 °F (54.4 °C) as defined in 29 CFR 1910.1200. Any product meeting the definition of UN Class 4.3 (Dangerous when Wet) as defined in 49 CFR 173.124(c), which on interaction with water, is liable to become spontaneously ignitable or to give off flammable gases in dangerous quantities. A material, other than a poisonous gas (HCC G1), meeting the definition of UN Class 6.1 (Poisonous Material) under 49 CFR 173.132(a)(1)(iii) and assigned to Hazard Zone A or B in accordance with 49 CFR 173.133(a) and required to be marked or labeled "Inhalation Hazard" under 49 CFR 172.313 or 49 CFR 172.416 or 49 CFR 172.429. A material, other than a poisonous gas (HCC G1) or Poison-Inhalation Hazard (HCC T1), that is classed as a UN Class 6.1 (Poisonous Material), that for packing purposes has been assigned Packing Group I (Great Danger) as defined in 49 CFR 173.133 (a)(1). A material, other than a poisonous gas (HCC G1) or Poison-Inhalation Hazard (HCC T1), that is classed as a UN Class 6.1 (Poisonous Material), that for packing purposes has been assigned Packing Group II (Medium Danger) as defined in 49 CFR 173.133 (a)(1). A material, other than a poisonous gas (HCC G1) or Poison-Inhalation Hazard (HCC T1), that is classed as a UN Class 6.1 (Poisonous Material), that for packing purposes has been assigned Packing Group III (Minor Danger) as defined in 49 CFR 173.133 (a)(1) 1) and may be labeled "Keep Away From Food". Any product meeting the definition of a pesticide or pesticide product as defined in 40 CFR 152.3 which is in Toxicity Categories II, III, or IV as specified for warning label purposes in 40 CFR 156.10(h) and is not otherwise classed as a hazardous material under 49 CFR, and does not meet the definition of any other HCC. 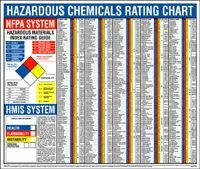 Any product defined as hazardous in 29 CFR 1910.1200, which cannot be assigned any other HCC and which is supported by documentation such as an MSDS or product bulletin, or through experience is a known health hazard. Although the primary purpose of the HCCs is to assure safe storage of products, pollution prevention may also be considered. This HCC does not denote hazards associated with the actual use of the item. A material not meeting the definition of any other HCC and which meets the definition of a carcinogen under the OSHA Hazard Communication standard and is so specified on the MSDS. Materials meeting the definition of a UN Class 9 material as defined in Title 49 CFR, Section 173.140, the UN IMDG Code, or the IATA Dangerous Goods Regulations. This category includes any material which has anesthetic, noxious, or other similar properties that could cause extreme annoyance or discomfort to a flight crew member so as to prevent the correct performance of assigned duties. It also includes any material designated as a hazardous substance with a reportable quantity (RQ) listed in Title 49 CFR, Section 172.101 Appendix A, an elevated temperature material, a hazardous waste, or a marine pollutant which does not meet the definition of any other transportation hazard class. An aerosol product not exceeding 1 liter capacity which can be shipped under the shipping name name "Aerosols, Flammable", Hazard Class 2.1, UN1950 or the shipping name "Consumer Commodity", ORM-D, as specified in 49 CFR 173.306 (h). Included are ICAO Flammable non-refillable receptacles made of metal, glass, or plastic and containing a gas compressed, liquefied or dissolved under pressure, with or without a liquid, paste, or powder, and fitted with a self-closing release device allowing the contents to be ejected as solid or liquefied particles in suspension in a gas, as a foam, paste or powder, or in a liquid or gaseous state. Excluded are refillable compressed gas cylinders or flasks which are assigned a "G" series code. DOT Combustible Liquid, OSHA IIIA. Any product that does not meet the definition of any other hazard class or HCC and has a flash point (closed cup) above 141 °F (60.5 °C) and at or below 200 °F (93 °C). OSHA Class IIIA items are included in this definition. Materials, not meeting the definition of any other HCC, that have a flash point above 200 °F (93 °C). Excluded from this definition are Petroleum Oils and Lubricants (POLs) as they have a separate HCC (V6). OSHA Class IIIB liquids are included in this definition. Materials, not meeting the definition of any other HCC, containing petroleum products which could cause an environmental hazard if spilled on water or land. This category includes oils, greases, and lubricants that could be categorized in Federal Supply Class 9150 or 9160 as defined in the Federal Supply Classification Cataloging Handbook H2-1. Materials, not meeting the definition of any other HCC, which contain an Extremely Hazardous Substance listed in 40 CFR, Part 355, Appendix A or B, or a CERCLA Hazardous Substance listed in 40 CFR, Part 302.4, or a Toxic Chemical listed in 40 CFR, Part 372.65. In deciding whether or not a product falls into this category, determine if the concentration of a chemical exceeds the established de minimis limits which compare to the requirement for reporting the existence of the chemical under 29 CFR 1910.1200 section (g)(2)(i)(C)(1). System generated code to reflect the existence of more than one HCC for an NSN. Different products under the NSN can have different hazards and consequently different HCCs. An article in accordance with 29 CFR 1910.1200 which contains asbestos, or an item containing asbestos which under conditions of storage would not be expected to release hazardous materials and would not pose a physical hazard or health risk to employees. This category includes, but is not limited to, asbestos gaskets, brake shoes, or other products in which the asbestos is bound or otherwise immobilized to the point that exposure to personnel in a storage environment is minimal. An article in accordance with 29 CFR 1910.1200 which contains mercury, or an item containing mercury which under conditions of storage would not be expected to release hazardous materials and would not pose a physical hazard or health risk to employees. This category includes, but is not limited to, electron tubes, mercury switches and relays, mercury vapor lamps and tubes, fluorescent lamps, manometers, pumps, thermometers, or other devices in which the mercury is contained in such a fashion that exposure to personnel in a storage environment is minimal. For batteries which contain mercury use HCC Z7. An article in accordance with 29 CFR 1910.1200 which contains Polychlorinated Biphenyls (PCB), or an item containing PCB which under conditions of storage would not be expected to release hazardous materials and would not pose a physical hazard or health risk to employees. This category includes, but is not limited to transformers, capacitors, or other devices in which the PCBs are contained in such a fashion that exposure to personnel in a storage environment is minimal. A nonspillable battery consisting of a lead anode, a lead dioxide cathode, and sulfuric acid electrolyte that is designed and constructed so as to positively prevent leakage of the electrolyte, irrespective of the position of the battery. It must meet the definition of a "Nonspillable Battery" as defined in 49 CFR, Section 173.159(d). A nonspillable battery consisting of a cadmium anode, a nickel oxyhydroxide cathode, and potassium hydroxide electrolyte that is designed and constructed so as to positively prevent leakage of the electrolyte, irrespective of the position of the battery. It must meet the definition of a "Nonspillable Battery" as defined in 49 CFR, Section 173.159(d). A nonspillable battery consisting of a lithium anode, a solid or liquid cathode, and electrolyte that is designed and constructed so as to positively prevent leakage of the electrolyte, irrespective of the position of the battery. The battery must meet the conditions established by 49 CFR, 173.185. A sealed, non-vented battery containing electrolyte immobilized in the form of a paste or gel and not regulated for transportation by 49 CFR. OSHA does not require HCC's on MSDS's, but some organizations will find this information useful. HCC addresses an often overlooked, but highly critical, aspect of working with hazardous materials, the proper segregation and physical separation of incompatible substances. Many organizations simply store all their chemicals in one spot or sort them alphabetically. In the event of a fire or other accident, this can have disastrous results. See the links below for the DoD's segregation scheme. The U.S. Navy has posted the Defense Supply's Agency Storage and Handling of Hazardous Materials that includes expanded definitions and examples of HCC's (see Appendix B). Institute of Hazardous Materials Management. The ATSDR has a compilation of materials on Managing Hazardous Materials Incidents (MHMIs). Hazardous Material Handling and Storage at Florida State U. See the Further Reading links in our entry for incompatible for more resources and information of segregation and storage of chemicals. See also: CHIP, DOT, HMIS, incompatible, TSCA.